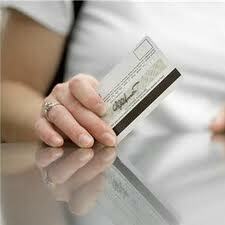 The way you handle your credit card is no doubt very important for your personal finance. Sometimes having a bad credit score does not necessarily mean that you are broke. Not at least in the strict sense. Sometimes it simply means that the figures in your credit cards imply some mismanagement. So how can you make sure that your credit cards are managed in the best possible way, without having to strain yourself too much? Your Personal Financial Mentor mentor gives you some priceless advice on how best to handle your credit cards so that you don’t find yourself with a poor credit score. First of all, avoid carrying too many credit cards with you. Or just avoid having too many credit cards bearing your name. In fact, you hardly need more than two cards – one which you are sure that you can pay off every end of the month and another one to use in case of an emergency. You can carry the emergency credit card with you all the time, but the other one should be left behind unless you have some planned use for it at that time. This will ensure that you are not tempted to spend spontaneously and that you keep track of your expenditures all the time. You should also sit down and come up with your own acceptable debt limits. It is always best not to spend anything beyond what you can afford to pay in two months. Although the acceptable ratio between debt and income stands at about 25 percent, you should try as much as possible to keep it between only 10 and 15 percent. Anything beyond 15 percent may turn out to be uncomfortable for you. Once you have your personal limits for expenditure, it is a lot easier to manage your credit cards. It is important also that you take credit cards from the right providers. Before applying for one, read and understand their terms and conditions very carefully. For example, avoid providers who require you to pay some annual charges just for holding the card. That is not acceptable. In fact there should be bonuses and incentives for holding the card. When the debt on one of your credit cards becomes very high, avoid using it at least until such a time that you have settled the credit card debt. If you insist on using that card, it might have an adverse effect on your credit score.